Most of my makeup is Mac, I just love there products. But! That's why I can't believe I'm going to say this, "Beware of Macs Zoom Lash Mascara". While I was doing my makeup course at beauty school I got a full Mac Makeup kit. Well, like any girl I was thrilled. There was just one thing missing, a "Mac mascara". My Teacher had changed it for a Maybelline one instead. I asked her why we didn't get Mac mascara, she said Mac mascaras are never that good. Now I can see why she opted for another brand after reading reviews on the Zoom! Macs Zoom Lash Mascara is supposed to leave your lashes looking volumized, but from the reviews I've read all it seems to leave is a smudged mess! It seems that a lot of ladies don't like the Zoom, according to reviews on Epinions.com. They say the wand isn't precise, it builds up product and clumps. Some users have even commented on the bad smell of the mascara. Although there are some ladies that have found it works for them and leaves their lashes full, lengthens and defined. 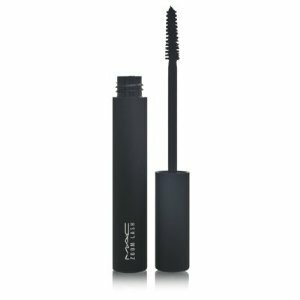 If you want to try Mac Zoom Lash Mascara for yourself it costs $9.99. Which is a very reasonable price. Diorshow Mascara by Dior. This mascara is supposed to give you thick, long and curled lashes for that desired false lash effect. Apparently Makeup artists all over the world use Dior to create "show stopping lashes". The Mascara comes in 3 colors black, brown and blue. I'm sure everyone knows the name "Dior". It's a pretty good well known brand, that unfortunately has obtained the high price tags we could all live without. Is Diorshow Mascara worth the high price tag? Well that would be for you to decide. A lot of the reviews on Amazon and Sephora.com are positive. 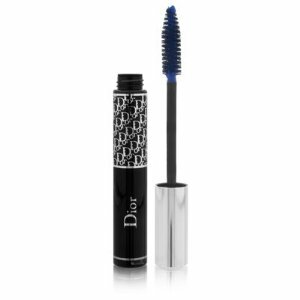 Most Dior enthusiasts think the mascara is amazing and definitely worth the money. One Dior fan even said, "Spending $24 on mascara is a sin, but I don't care... I am going to hell with *gorgeous* lashes!!!". Although there are quite a few ladies who think it's not any better than the cheap drug store brands, so not worth the high price tag. Dior Diorshow Mascara is expensive at $24 a pop, considering you can by other good brand mascara's for half the price. Although if you shop around you can pick it up at a lot lower price. Gives a false last affects with 2 coats. Check ingredients for allergies, can course allergic reactions. I'm personally in 2 minds about this mascara. I want to try it because most reviews are good, but the price is quite high so that holds me back. Good luck with your decision! 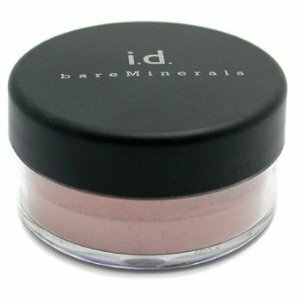 Bare Escentuals barMinerals All-Over Face Color is a powder that is hopefully going to give cheeks, forehead and chin a natural dewiness. It comes in a wide range of colors, from dark to very light. So there should be a color to suit every skin tone. Most reviews for All-Over Face Color are good ones. Avery Bennett's review on associatedcontent.com praises Bare Escentuals. She says, "it's really light weight and the color give me a lovely glow". Although some other users think Bare Escentuals is too light in color, makes the pores more visible and is a little to glittery. Bare Escentuals bareMinerals All-Over Face Color costs $18 which is quite expensive compared to other brands, but is it worth it? Clean Hair Fragrance is made to do exactly what the name suggests. A couple of squirts is supposed to freshen up hair, for that just washed scent. This product has mixed reviews, some people love it and others think its a waste of money. Lauren from beauty.com loves 'Clean', she says it leaves her hair with a clean scent that her boyfriend really likes. 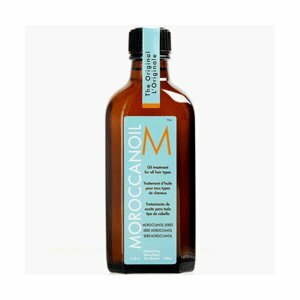 Other fans say, it lasts a long time, helps tame fly-aways and has a pleasant fruity/powdery smell. Although there are quite a few users that think it is too expensive for a product that makes your hair smell like over soaped laundry. Clean Hair Fragrance is quite highly priced at around $39. Personally I think Clean Hair Fragrance is over priced. I would rather save the money and take the time to actually wash my hair. Sebastian Shaper Plus Hairspray is designed to provide great hold to any hairstyle, without it feeling sticky or stiff. I hate when you spend all that time styling your hair, then you use a hairspray that weighs it down and leaves it feeling really stiff. Is this Sebastian Hairspray the answer to all our prayers? Honestly I can't find anything inadequate about it. All the reviews I have read have been positively fabulous. "It provides 24 hour hold even under extreme humidity conditions", Says a fan from totalbeauty.com. Leaves no residue or white flakes. Hair feels clean no matter how much you use. Alcohol 152A, Isobutane, ethyl mer, glycerine, ethylhexyl, phenone-3, cyclomethileamidopropyl ethyl dimethyl lauramine isostearpanthenol, PEG-75 lanoline, lates/butylaminoethyl, dimethylstearamine, denat., hydroflourocarbon, ester of PVMMA copolymethoxycinnamate, benzocone, lactamide mea, linomonium ethosulfate, diate, aminomethyl propynol, octylacrylamide/acrymethacrylate copolymer, fragrance (parfum). At the moment Sebastian Shaper Plus Hairspray is on offer, you can get 3 cans for around $30. Which is a little expensive than most other hairsprays, but a bargain for a Sebastian! Carol's Daughter Mimosa Hair Honey is a all "natural" pomade, it is made to control frizzy hair and add luster. C.D is suitable for all hair types. Although this product is made only of natural ingredients. One user says it may not be good for people that have pollen allergies, as it has an overwhelming floral scent. Many reviews on makeupalley.com love the floral scent and say it lasts all day. One hair guru says, it is great for curly hair and defines each curl. Corn Oil, Lavender, Rosemary, Nettles, Red Roses, Sage, Blue Malva, Marigolds, Red Clover, Beeswax, Shea Butter, Cocoa Butter, Annatto Seeds, Alkanet Root For Color, Essential Oil Of Sweet Orange, Fragrance. After reading the reviews for Carol's Daughter Mimosa Hair Honey I want to try it. This hair honey is most appealing to me because it is natural. I think everyone's hair needs a break from all the synthetic ingredients every once in a while. 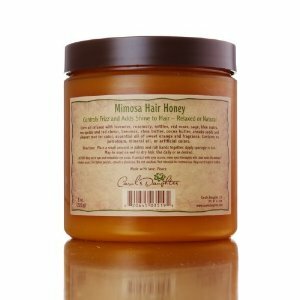 Carol's Daughter Mimosa Hair Honey retails for around $16.50 (4oz), but can be found cheaper if you shop around a little. Jonathan Product, Redo freshen-Up Mist is a spray that can be used on skin or hair. It is designed to save you time on those slightly rushed days. Instead of having to wash your hair, just give it a spray with Redo and it should freshen up your luscious locks. Quite a lot of Redo users would agree that it does! Amanda from Columbia City says, it revives her frizzy/curly hair to be soft and beautiful. Other reviews on beauty.com say, Jonathan Product's Freshen-Up Mist has a great refreshing scent. One lady even said, it is brill for setting loose mineral make-up. Violeta from New York used Redo and said it left her hair looking greasy and limp, so she had to wash it anyway. There are a few other people that have had these results too! This might not be a good product for people who have greasy hair. As it may make it seem greasier. Many of the users that Redo didn't work for were those that have greasy hair. I do like the fact that this Freshen-up mist doesn't have any alcohol, I'm sure all you Eco friendly ladies will be pleased with that too! Water, Cucumis Sativus (Cucumber) Fruit Water, Rosa Centifolia Flower Water, Hamamelis Virginiana, Lavandula Angustifolia (Lavender) Extract, Caprylic/Capric Triglyceride, Hydrolyzed Soy Protein, Hydrolyzed Sweet Almond Protein, Prunus Amygdalus Dulcis (Sweet Almond) Oil, Chamomilla Recutita (Matricaria) Extract, Citrus Aurantium Dulcis (Orange) Flower Extract, Citrus Grandis (Grapefruit) Peel Extract. If after reading this review you want to purchase Jonathan Product, Redo Fresh-Up Mist it retails from around $15. That's about average price for most hair products now-a-days. I'm a total fan of Essie nail polish. It goes on so smooth with no streaks and it lasts longer before chipping compared to other nail polish. Dr Devience also rates this polish high in her review on associated content.com. I used to just use a cheap brand. I didn't really buy into the whole nail polish war, just thought they were all the same. That was until I discovered Essie! Sorry don't mean this to sound like a sales pitch. There are some ladies who have commented on the associatedcontent site, they have tried Essie polish and think it chips to quick. A good tip when applying Essie or other polish is to use a base and top coat, as well as applying 2 layers of your chosen color. This will help make the color last longer before chipping. Essie is used by a lot of professional spa's. It comes in hundreds of colors, so you are bound to find the shade for you. Essie Licorice (Black) is a color I would like to recommend to all you fans. Black is this seasons must have shade for any fashionista. It is a lovely winter shade that is nice for a night out or special occasion. You can purchase Essie polish from the official Essie site, where a 15ml bottle will cost $8 or you can go to Ebay or Amazon and you can find it for around $2-$6. This brand of polish is more expensive than most. But I think it is definitely worth the price, especially if you want flawless results. You are currently browsing the BeautyNib blog archives for July, 2010.